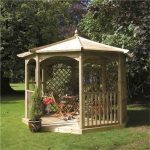 This 8 sided beautiful looking Gazebo will last for many years as an eye-catching garden feature. 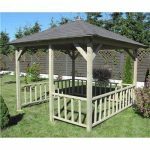 It is completely maintenance free and is constructed from pressure treated wood. 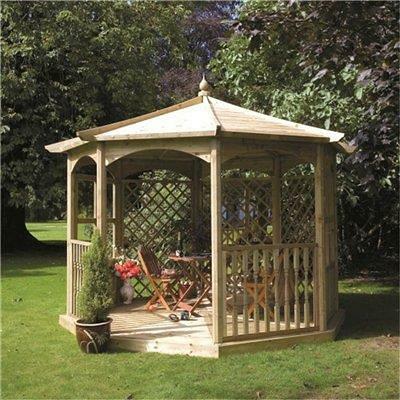 It is a high quality well-made Gazebo ideal for entertaining friends or relaxing in. 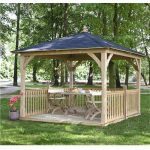 There are various different models and sizes to consider in the Regis range all of which have different additional features, click the link for more information. 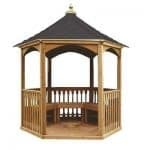 I have always wanted a gazebo. I was always hesitant on getting one though because I figured the price of it would be outrageous. 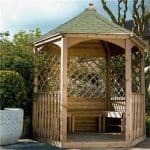 I came across whatshed.co.uk and the moment I saw the GRANGE STYLE REGIS GAZEBO, I fell in love with it. 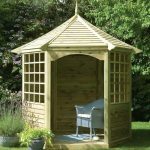 I am an outdoorsy type of person, and I knew this would look good next to my garden. The price was affordable to me so I purchased it right away. The shipping didn’t take to long and I barely needed any assistance to put it together.